The last time I dined at Akari Japanese Dining Bar was almost 3 years back. I am back again at Akari to try the new Kaiseki Set Courses after the restaurant revamped its dinner menu with the addition of Chef Hirotaka Murata. 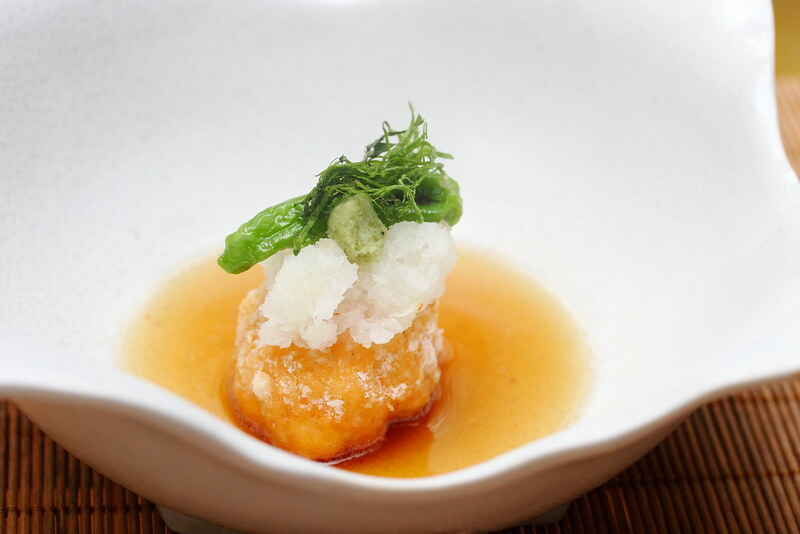 Available only during dinner is 2 kaiseki sets that comes with 10 courses priced at $100++ and $150++ respectively. Our 10 course dinner started with the Chawanmushi. 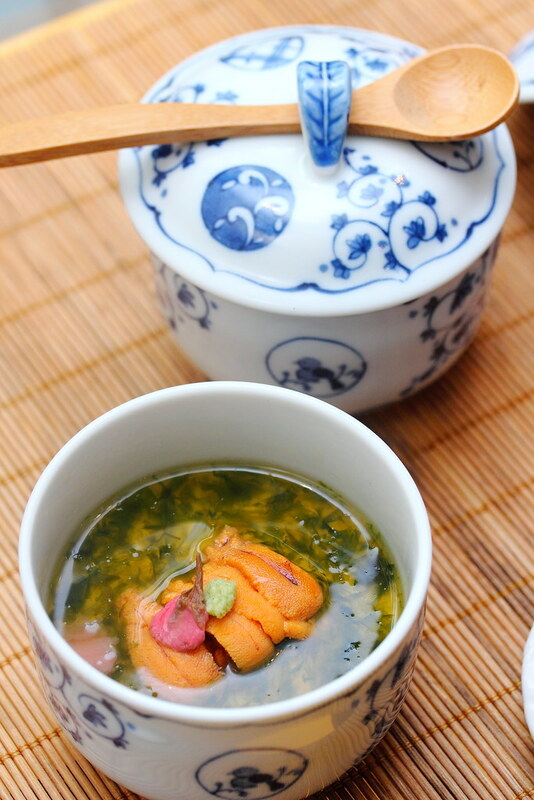 The steamed egg is smooth and intense in flavour topped with sea urchin. Be surprised by the huge Hiroshima oyster hidden beneath the steamed egg. 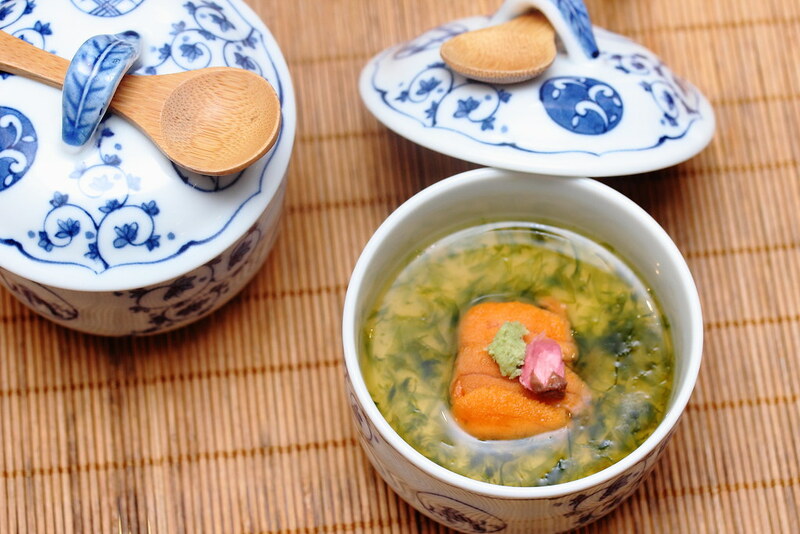 Next is a platter of amuse bouche which is plated like the sakura blossom season. 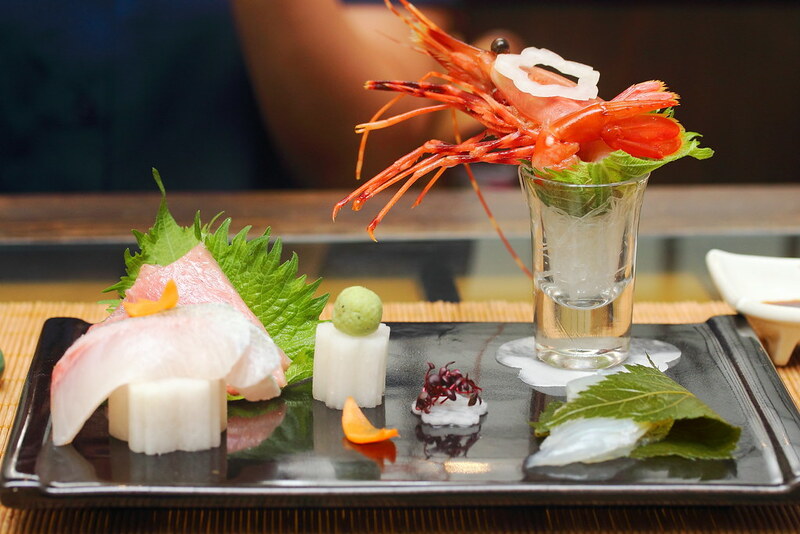 This delicate plate show cases the different cooking technique of Japanese cuisine. 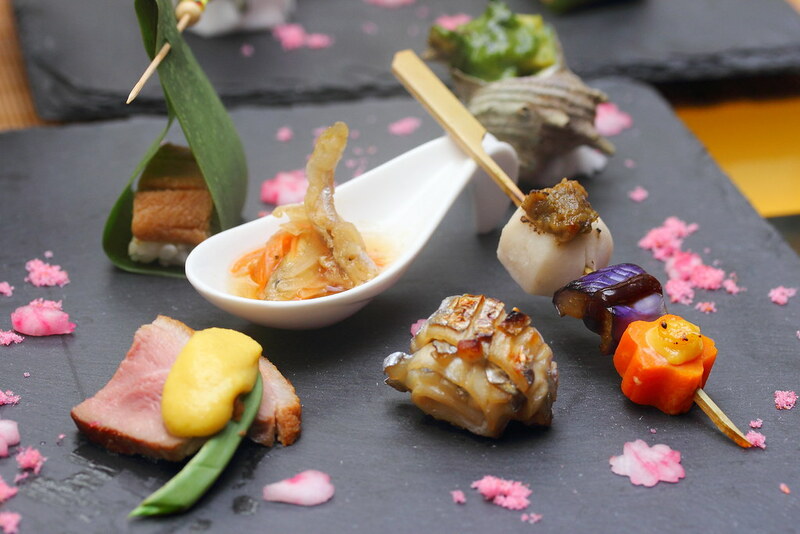 On the plate we have the Anago Sushi, Baby Turban Shell with Basil Miso, Smelt Fish with Wasabu Vinegar, Grilled Vegetables with Miso, Grilled Belt Fish with Yuzu Flavour and Roasted Duck with Spice Egg Yolk. The clear soup was a delight entry to cleanse the palate for the next course. What caught my attention is the ball shaped thing in the bowl. 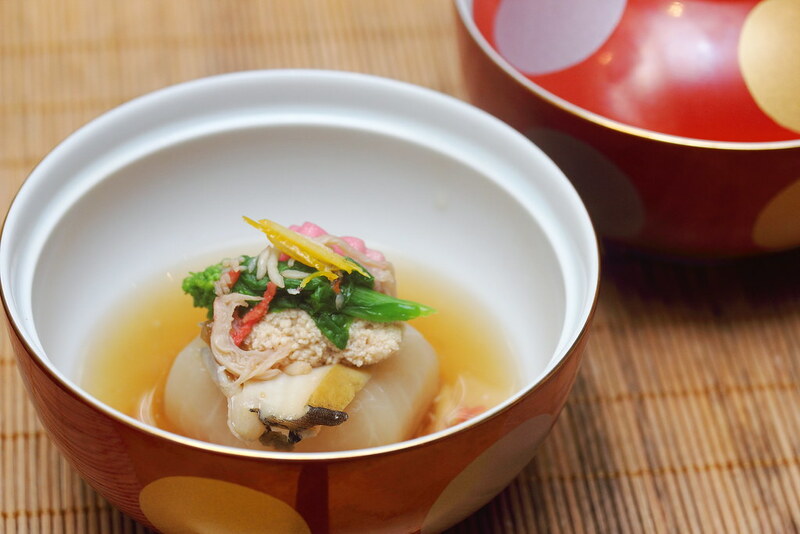 It is actually sliced snapper fish flesh wrapped into a ball shape with minced snapper stuffed inside. It is a very interested execution which I have not come across before. Sashimi is next with a displayed of fresh seafood on the plate. On the plate there was Blue Fin Tuna Toro, 2 different kinds of white meat fish (depend on season and availability) and Spot Prawn. For me the spot prawn stood tall among the other seafood, just like the glass tower on the plate with its sweetness. From the grilled session, we had the Grilled Wagyu Beef. Most restaurant uses A5 grade wagyu beef but the chef chooses to use A4 grade which comes with less fat and more bites to it. I actually agreed with the chef's choice. I would recommend to have the sauce on the side instead of over the beef as it is already so good on its own. 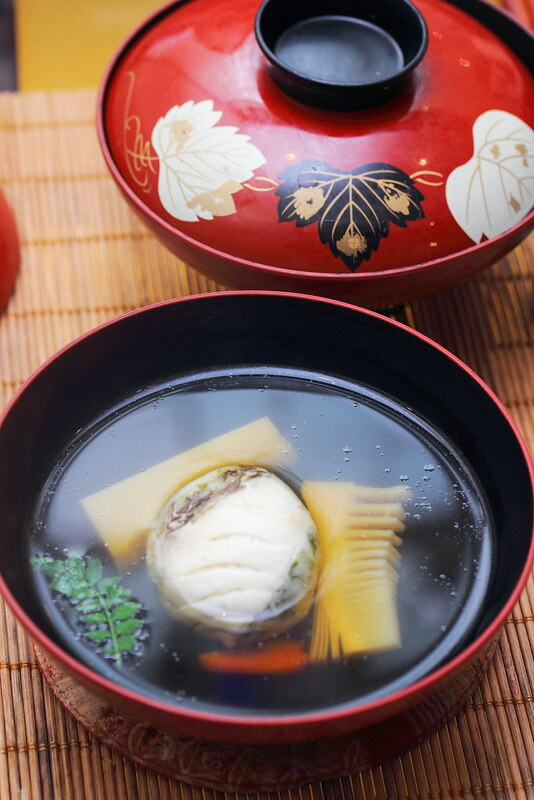 Moving on is the homely and comforting Steamed Simmered Snapper Egg. The snapper egg is actually not very noticeable among the different components in the bowl. Instead the star was the turnip that has absorbed all the essence of the dish. Probably the weakness link of the 10 dishes. The Deep Fried Minced Prawn comes across a bit pedestrian just because the bar has been set too high. A very colourful plate of pink and yellow. 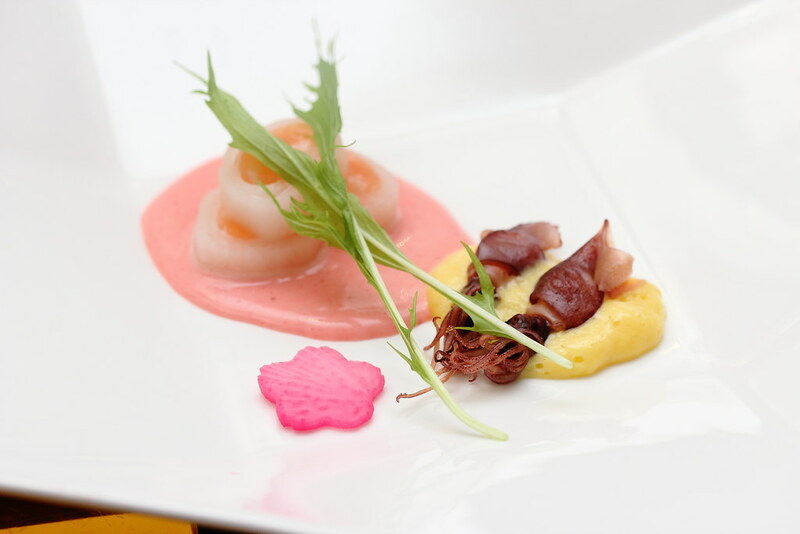 The Salmon and Baby Squid was nice but it is overshadowed by the unique pink coloured vinegar and strawberry sauce. 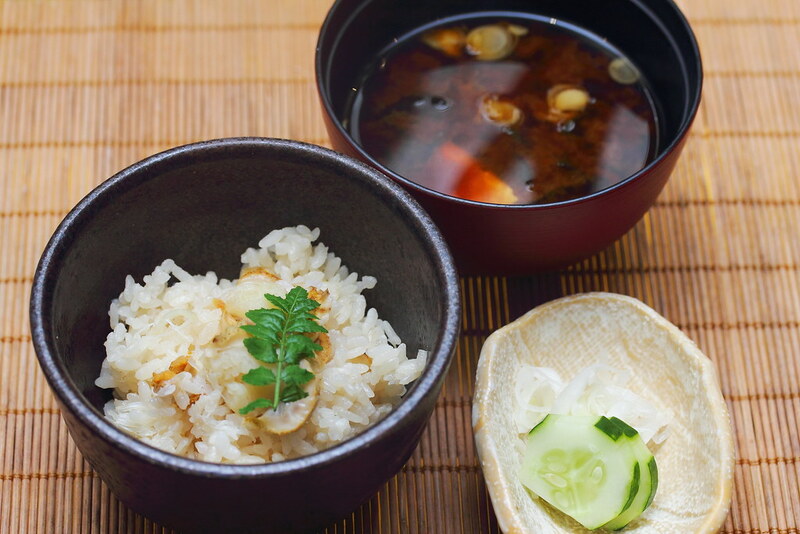 For something more substantial, there is the Hokkaido Scallop Rice and Red Miso Soup near the closing of the 10 courses set. The scallop rice was quite aromatic and enjoyable as we approach the end of the wonderful kaiseki journey. Wrapping up the dinner is the Homemade Milk Pudding with Black Sesame Mochi. I prefer the mochi more of its extremely soft texture. Overall i have enjoyed the new kaiseki set. Chef Hirotaka Murata has brought finesse into the menu while the pricing is still kept within affordable. 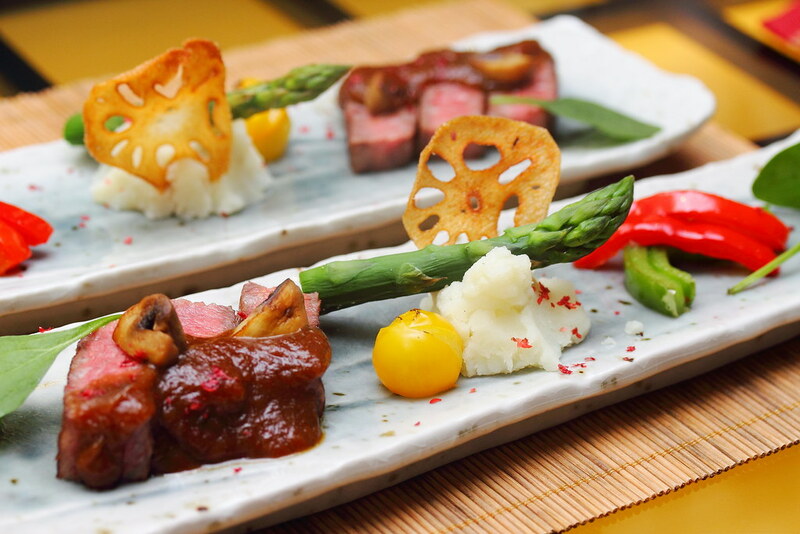 Akari Japanese Dining Bar will also organize a private kaiseki dinner on every 1st and 4th saturday of the month. 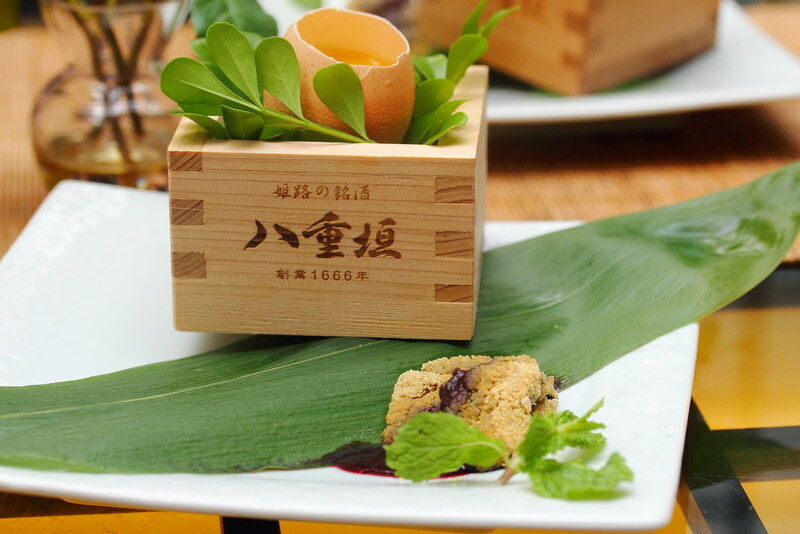 This is strictly on reservation basis where diners can indulge in exclusive fine kaiseki dining experience with seasonal premium Japanese ingredients. The private kaiseki dinner is priced at $200++ per person (without sake pairing) and $250++ per person (with sake pairing).